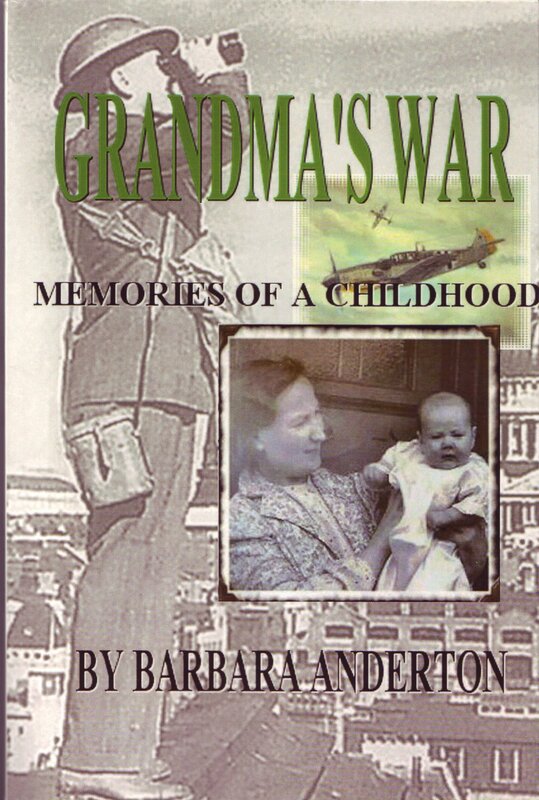 "GRANDMA'S WAR" A popular comedian during the war years was Rob Wilton, whose catchphrase was “The day war broke out….” When I talked to my mother about the start of World War II, she told me she remembered the moment the announcement was made on the wireless. She was at her friend, Mrs. Taylor’s, at No. 52 North Road. This was the first house on the estate that Mum and Dad had lived in. June Taylor and I were about eighteen months old at the time. It was 11.15am on Sunday, 3rd September 1939. The Rt. Hon. Neville Chamberlain, the Prime Minister, came on air to tell a stunned nation that the British ultimatum to Germany, demanding the immediate withdrawal of its troops from Poland, had expired. 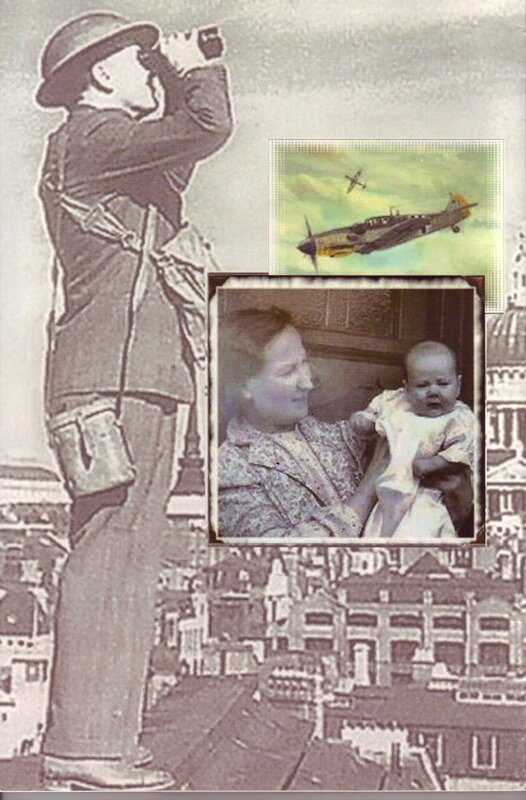 He finished speaking with the words, “I have to tell you now; this country is at war with Germany.” Immediately, the air raid warning siren went and, as you can imagine, there was a certain amount of panic, even though it was only a test. “Surely they can’t be bombing us already,” wailed Mrs. Taylor. Little did they, and thousands like them, know what the future had in store for them. My earliest memory of the war must be my Mickey Mouse gas mask. I can still imagine its sickly rubber smell. These children’s gas masks were made of coloured rubber, with a flap for the nose, sticky out bits for ears and a metal rimmed area round the eyes, slightly resembling the popular Disney character that was all the rage at the time. Sadly, they had to be withdrawn as they used too many scarce resources in their production. I’ve heard tell that, to infuriate their parents, children could make a ‘raspberry’ noise, like breaking wind, every time they breathed out inside their gas masks! Adults’ gas masks had to be carried at all times, in a special case which, for ladies, doubled as a handbag to carry face powder, lipstick, etc. There were even gas masks for horses and dogs, and a special gas-proof pram was invented for babies. I can still hear the warning wail of the Air Raid Siren, its chilling sound signalling an almost nightly routine. Even if we were fast asleep, we had to be dressed very quickly in warm clothing – in my case an all-in-one garment aptly named ‘a siren suit’ – a small, woolly version of the style worn by Winston Churchill! Mine was made out of an army blanket, bought for 10/-d at the Army and Navy Stores. Mum grabbed hot drinks and food while dad made sure there were sandbags and buckets of water outside the doors of the house. Then he would pick me up and we’d hurry to the top of the road and scurry down the steps into the dark, smelly, damp air-raid shelter. Depending how long you had to stay there before the ‘all-clear’ siren went, the air got staler by the minute and I can’t remember there being any lavatories. I don’t think we used the shelter very often; Mum thought it was unhealthy and swore it was responsible for my bronchitis. Instead, when the siren went, dad would turn our big brown leather sofa over to make a den against the inside adjoining wall of the sitting room. Then Mum would make beds under it with pillows and blankets and we would crawl under and cuddle up, praying that our house would be spared from Mr. Hitler’s evil bombs. I can only imagine how frightening it must have been for our parents. At other times, the large dining table was turned into a makeshift shelter. Dad would push it against the wall and Mum would bring pillows and blankets down from off the beds upstairs. We would all shelter there under the table and try to sleep until the all clear went. In my memory, the siren always sounded at night, which seemed to be much more frightening. One of my most vivid memories of the air raids was the darkness. The Blackout was introduced on 1st September 1939. At the beginning of the war, more casualties were caused by the blackout than the enemy. Road casualties more than doubled as people fell and tripped or stumbled into the path of cars. As a result, white bands were painted round all posts, boxes and other obstacles, and kerbs were picked out with white markings. Traffic lights were fitted with blackout shields so that only a small cross of light could be seen. To make sure that not a chink of light showed from outside, which would give enemy planes a target to aim for, windows had to be blacked out. Mum managed to get hold of a large quantity of unbleached linen, which she cut into curtain lengths to fit all the windows. These were dyed black and hung behind the usual curtains, obliterating any light we might use during an air raid. After the war these blackout curtains were bleached and used as sheets, pillowcases or tablecloths. In fact, until she died Mum used an embroidered cloth, which I worked on long after the war ended, using a square of the heavy linen material. When we cleared her home after the funeral, there were still some bed sheets packed away, not used in the days of easy-care bedding. Sugar was delivered to the local grocers in Hessian bags. When they were empty, Mr. Schofield would sell them for 6d. each. They were bleached and boiled, then made into pillowcases. A much more glamorous material was parachute silk. I remember us being given the remains of a damaged parachute which couldn’t be re-packed. We cut between the braid which separated each triangular shaped segment and my mother and her friends made pretty underwear, hand sewn, trimmed with off-cuts of lace. Again, there is still some of this material in Mum’s ‘treasure chest’. Barrage balloons first appeared in the skies above us at the beginning of the war, although training in the handling of them started as early as 1937 and Balloon Command, as it was called, was formed in 1938 as part of Fighter Command. These huge balloons, inflated with 20,000 cubic feet of hydrogen, measured 66ft long, 30ft high and were held to the ground by cables. The idea was that low flying enemy aircraft would get caught up in the cables and they were quite successful – 24 piloted enemy aircraft and about 278 non-piloted missiles were destroyed. Unfortunately more than 91 of our own aircraft also collided with the cables! There were problems with stability, however, and it is reported that, in a storm in 1939, 60 broke free and flew as far as Sweden. Balloon Command was finally abandoned in February 1945. It has to be said that these balloons were a great favourite with children. They became characters in children’s books such as “Boo-hoo, the Barrage Balloon” and “Blossom, the Brave Balloon”.